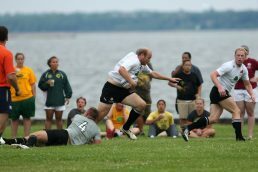 Highlights of the 2009 Lakefront 7s. The Lakefront 7s is the largest summer rugby event in the United States. Hosted annually since 1982 the Lakefront 7s attracts on average 125 teams and 2000 participants from across the country and around the world. 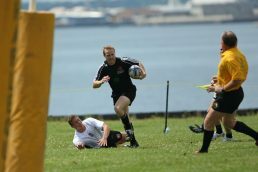 Held on the scenic shores of Lake Michigan in the heart of historic Milwaukee, the Lakefront 7s features men's and women's brackets for all skill levels, boys and girls high school brackets, and co-ed tag rugby for athletes in middle and elementary school.